in the Season 7 of American Idol. And she wasn't even in the bottom 3. Well, come to think of it, she's never been in the bottom 3, was she? 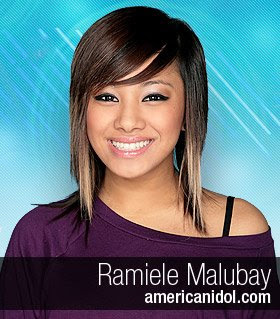 I guess the Pinoy power is working for her....go Ramiele!